The lower section of the spine is called the lumbar spine, when the vertebrae in your lower back misalign it can cause a strong, sharp pain, like a pinched nerve. In order to perceive pain there has to be at least 40 % damage to the nerves. Therefore pain is not a good indicator. Difficulty Putting on socks or bending forward. The lumbar vertebra and pelvis develop abnormal joint motion (subluxation), it becomes fixated and then often becomes inflamed. This inflammation around the joint is what irritates the nerve and in severe cases causes pain. When there is abnormal joint motion, eventually the joint will start to wear down. A good analogue is if you drive your car and bump the wheel into the pavement. It will knock the wheel alignment out. If you leave the wheels misaligned it will cause the wheels to wear down faster. May impact on your activities of daily life such as walking, getting dressed, sitting and sleeping. Will cause wear and tear on the joints (osteoarthritis). The longer you leave your condition untreated the worse it may become. The worse it gets the longer it takes to fix and the more money it will cost. 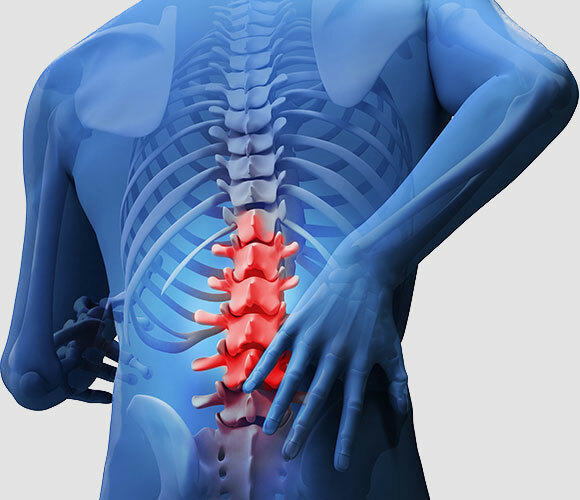 In extreme cases, the pressure on the discs can lead to disc protrusion, prolapsed or budge; eventually leading to permanent damage which can result in spinal surgery. Our promise to you is that we will not waste your time and money. We will work out exactly what the cause of your condition is and whether Chiropractic care can help you. We will look at the nerves, joints, muscles, ligaments and tendons and work out the best solution to resolve your condition as fast as possible. We use a systematic hands on approach, utilising x-rays as well as the most advanced instruments. See patient videos to watch a Gonstead adjustment being performed. If your condition is as a result of a subluxation/misalignment then we will do a very gentle Gonstead adjustment which involves minimal force and no twisting or rotation of the spine. Call us now today on (02) 9371 7774 or Book Online.